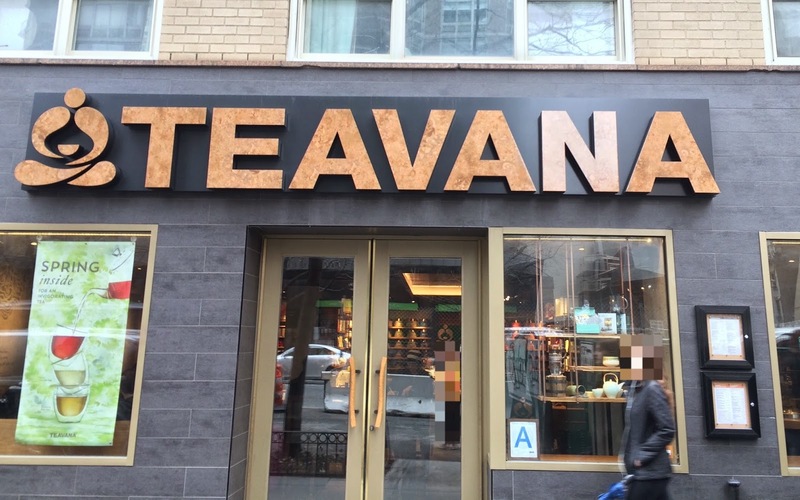 Teavana, a tea leaves chain acquired by Starbucks and runs in the US including Puerto Rico, Canada, Mexico and Middle East. First time I heard about this tea shop was in a cab in Montreal last winter (December 2013) after coming back from Cancun for my friend's wedding. 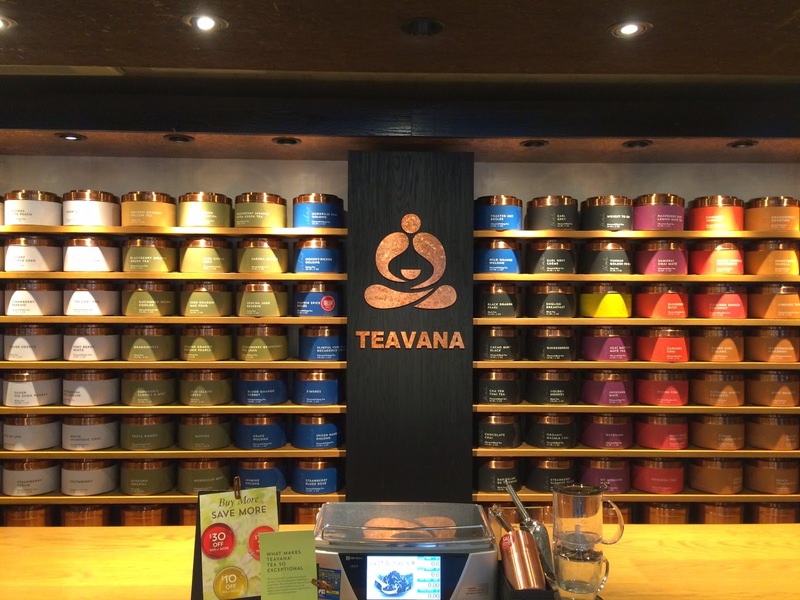 A cab driver said that Teavana has so many tea leaves including green teas, and I've been curious about the shop, but I never had a chance to go one in Montreal. Though I've seen some shops in NYC, I still hadn't gone but found there're some shops where sell pastries and savory foods and beverages besides tea leaves. 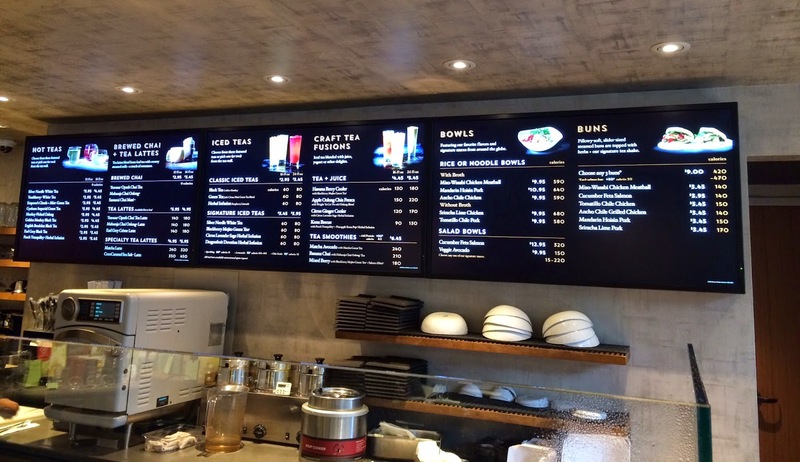 I saw one Teavana where serves foods too, that's called "Teavana Fine Teas + Tea Bar," by NYU, and also found 2 locations in Upper East side. 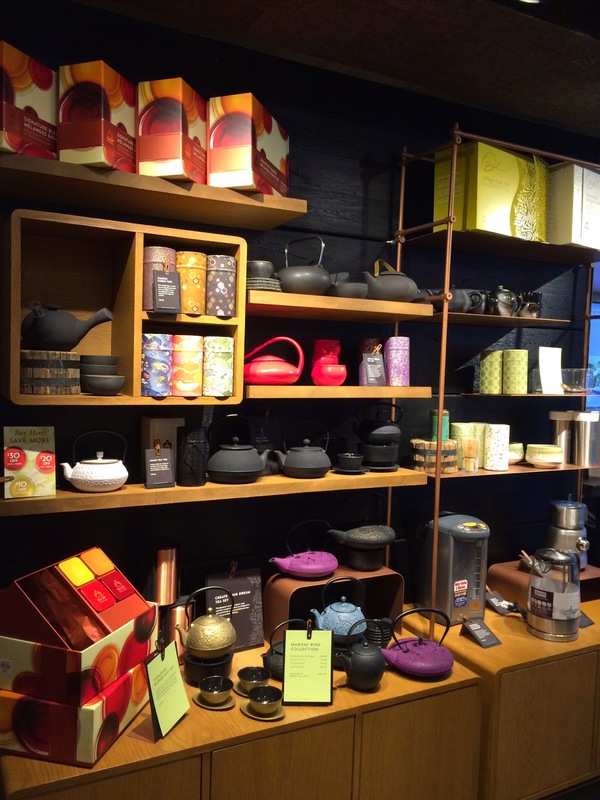 As it's coming to Japan, according to some sources, I finally went to try the famous tea chain. --- I've already had Teavana "Peach Green Tea Lemonade" served at Starbucks in summer, 2014. I went to one at 63rd Street on 3rd Avenue. 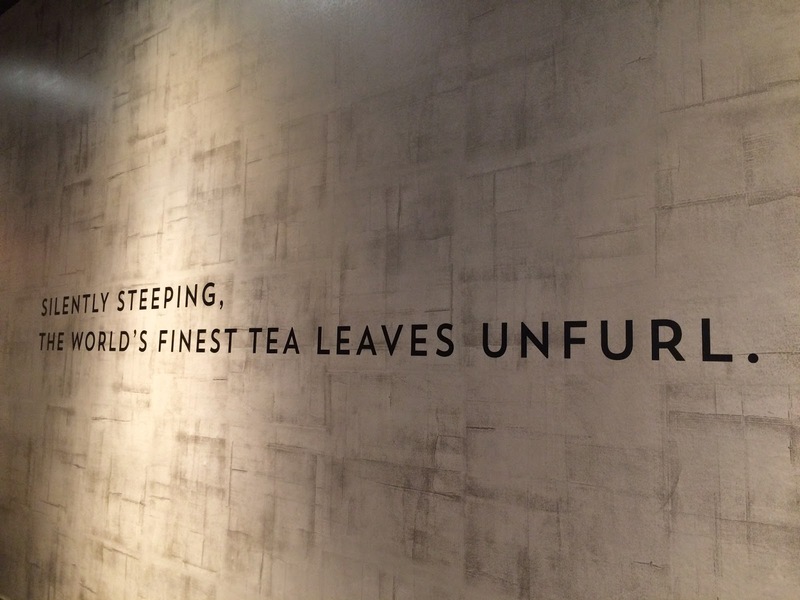 I took this photo when an employee left for a bit, but usually there's someone who can help you to find great teas you'll like. 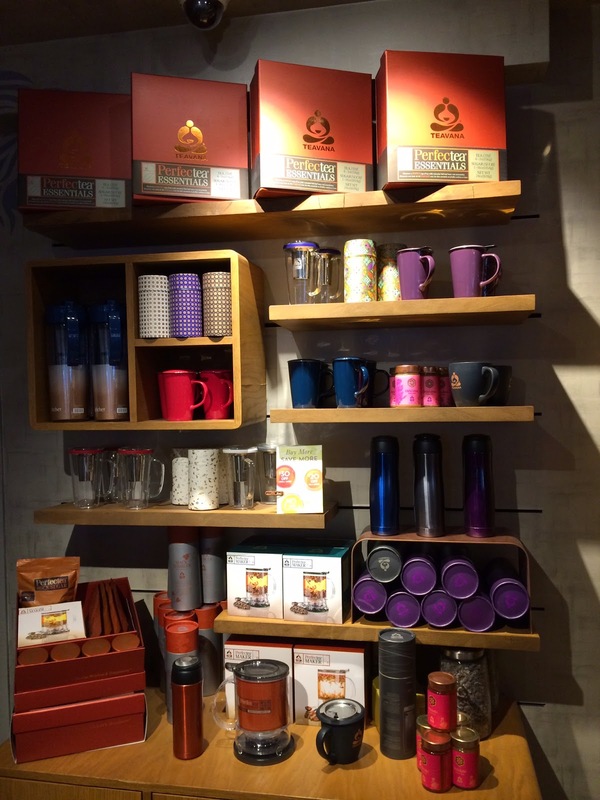 Not only tea leaves, they also have tea accessories including iron pots, cups, thermos bottles and gift sets. The options on the menu were much more than I thought. 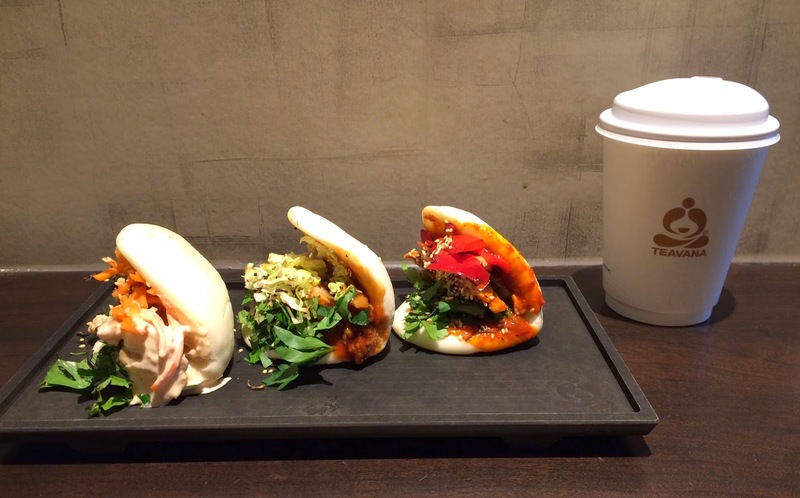 When I got there 1:50 PM, it's quite busy so that I found a space at a counter table first, then I placed an order. On the table, there're leaflets with more detailed menus. One of the walls had a short text. Silently steeping, the world's finest tea leaves unfurl. I asked if they have any unsweetened tea, then an employee said they can make anything without sweetener. Next, I asked for green tea, then she asked me if I wanted a simple green tea or flavored one, so I chose flavored green tea and among some items she mentioned, I chose blackberry flavored green tea, that is called "Blackberry Mojito." I ordered it hot, but they can make it cold, too. She asked my name so I spelled it out and waited at the table, then about 5 minutes later, it's served with Bun Plate I got with. 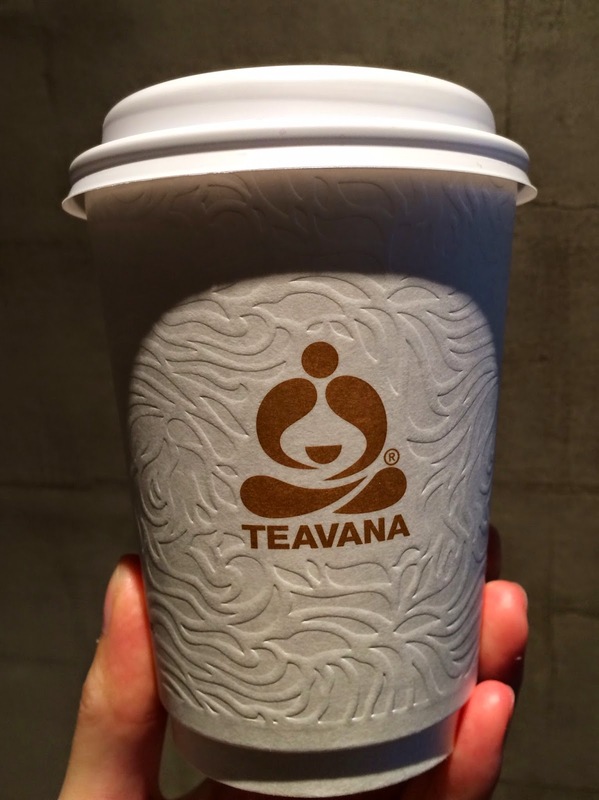 This is the cup, and on the front, there's a Teavana logo. 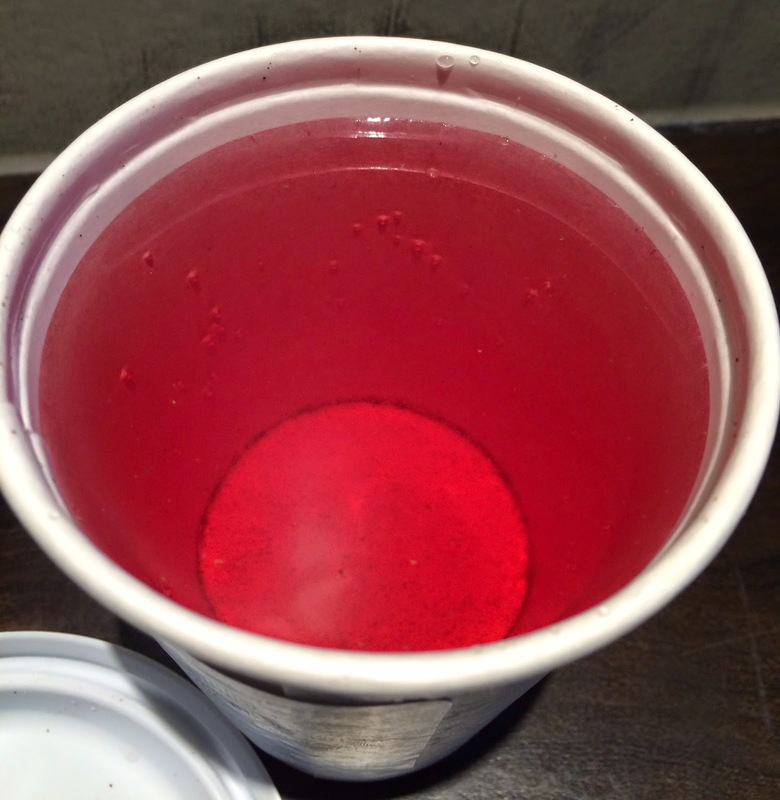 The whole cup was embossed. On the back, there's a sticker with my name, name of the content and the quantity (12 oz. = 355ml). It had very fruity flavor and the color was reddish pink, and I couldn't think of any aspect of green tea when I saw and smelled the tea. Though it had fruity and sweet scent, it tasted fruity yet not too sweet as it smelled, and it had a bit of sour flavor like berries have. And the aftertaste was as refreshing and subtly bitter as green tea. 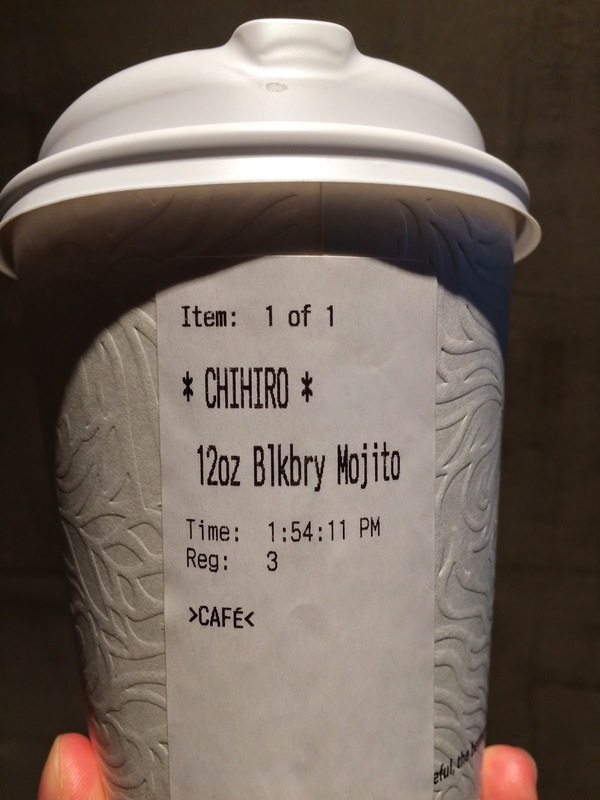 I ordered this hot and the flavor was so aromatic that the scent was coming out from a little hole in the lid to sip. Even after it got cold, the flavor was still as clear and fresh as it's hot. There're so many kinds of teas and I'm thinking to try other teas next time. The employees were very helpful and when I said it's my first time to come here, one of them kindly answered my questions and suggested some of the items. Regarding the space itself, depending on what time you visit, it's either very crowded with college students with bags and loud, or half empty and calm. When I got there at 1:50 PM, it's almost full and loud with college students with bags on chairs, then around 2:15 PM, many seemed to have left and the space got nice and quiet, then at 2:35 PM, lots of people came in and seeking for spaces to sit. I thought it was as noisy as Starbucks, or even noisier, but I think it really varies according to what time you go and which branch you go to.